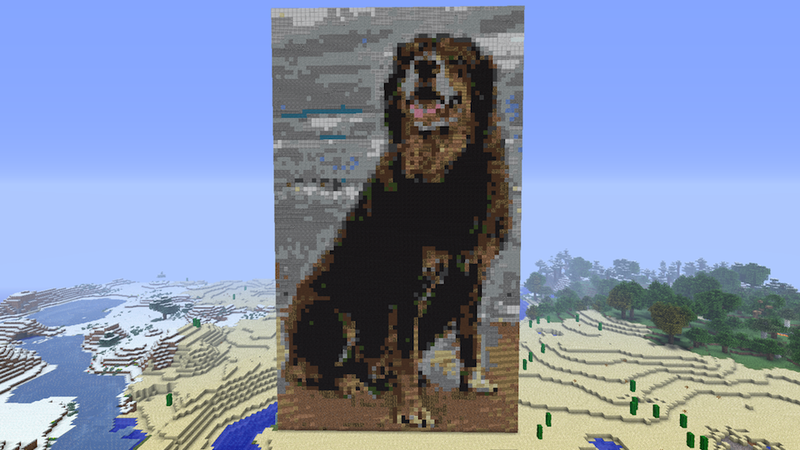 This was created by dedicated Minecrafter Nathan Chatham as a tribute to Gears of War designer Cliff Bleszinski and his wife Lauren Berggren. It's their dog. It's totally adorable.